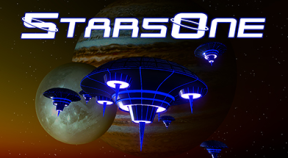 StarsOne program was launched in 2118 with its goal of exploration the nearest stars. Convenient planet was found and process of terraforming was conducting through 7 years. The best volunteers made their way to the cultivated planet in 2125 to plant a colony and establish connection with Earth center. The first spaceship with pilgrims arrived and they settled successfully. But soon the communication was lost – something strange happened. The character headed off to the planet for searching the survivors. Near the planet orbit he lost communication with Earth center, outfit went wrong and spaceship was starting falling down. The spaceship crew, including the character, had to evacuate. Due to breakdown escape pods were operated manually. In this regard crew members landed in different regions of the planet. The character should build a base, find out the cause of breakdown, search for his crew members and disappeared pilgrims, restore and protect the settlement and continue the space exploration.